Inserting rows in Excel is one of the most basic stuff that we do almost everyday. And there are many ways to do this. Now there could be various situations where you need to insert rows in Excel. For example, you may want to insert a single row, or multiple rows that are all together, or multiple rows that are not together. 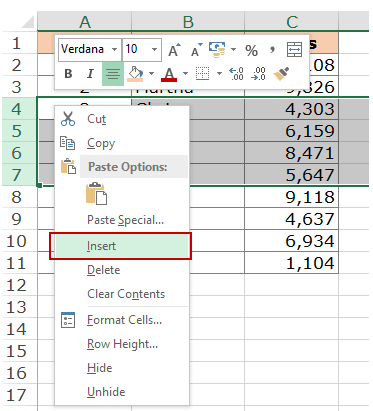 In this tutorial, you’ll learn four different ways to do insert multiple rows in Excel. Using Mouse + Keyboard (super trick). Using Insert Copied Cells Option. You can insert multiple rows in Excel using more than one keyboard shortcut. 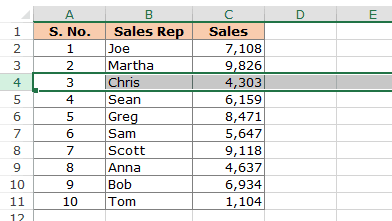 Select the cell above which you want to insert multiple rows in Excel. Press Shift + Space-bar to select the entire row. You can also select the entire row by simply clicking on the row number on the extreme left. Once the entire row is selected, press Control and hit the plus key (+) from the numeric keypad. If you don’t have the numeric keypad, press Control and Shift and plus key (+) on the regular keyboard. This will insert a single row right above the row that you selected. Once you have inserted a row, you can repeat the same action by using the F4 key. To do this, just select the row above which you want to insert a row and press F4. Hitting the F4 just repeats the last action. 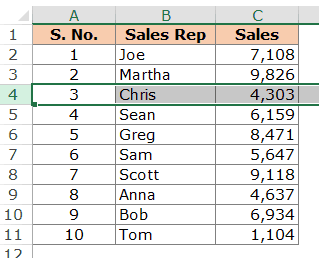 What if you want to insert multiple rows in Excel at one go? In the above example, we saw how to insert one row using the keyboard shortcut. If you want to insert multiple rows at one go, you can easily do it with a slight twist. 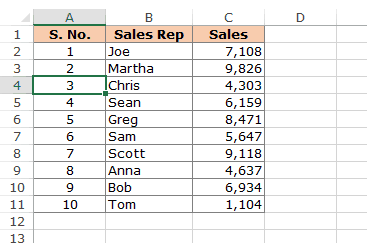 Select the number of rows that you want to insert. For example, if you want to insert 4 rows between Row #3 and #4, select four rows staring from Row #4. It does not matter if the rows have data or are empty. This technique works in all cases. Use the keyboard shortcut Control and Plus key (or Control and Shift and Plus key if you have a regular keyboard). Hold the ALT key and Press I followed by R.
You can also use the Insert functionality in Excel to insert multiple rows in Excel. Select the rows above which you want to insert the rows. For example, if you want to insert 4 rows between Row #3 and #4, select four rows staring from Row #4. Within the selection, right click on the mouse. From the menu that appears, click on Insert. Select the rows above which you want to insert the rows. Go to Home –> Cells –> Insert –> Insert Cells. This one is a super trick. Select a row above or below which you want to insert rows. You will notice a small green square at the end bottom right of the row number. Hover your mouse on that green square and press Control + Shift on your keyboard. You will notice that the mouse icon changes from a plus to a double line icon with arrow on both sides. This is one of the best ways to quickly insert any number of rows. 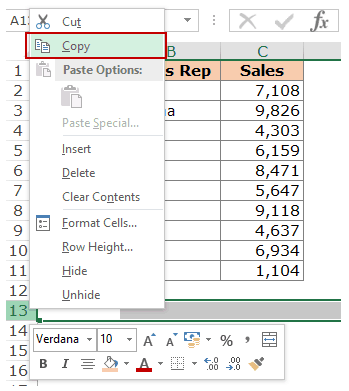 Another quick way to insert multiple rows in Excel is to copy a blank row and paste in where you want. Since you are copying a blank row, it would be the same as inserting a new row. Select a blank row and copy it. Select the rows above which you want to insert the new rows. Select as many rows as you want to insert. Right click on the mouse and select Insert Copied Cells. 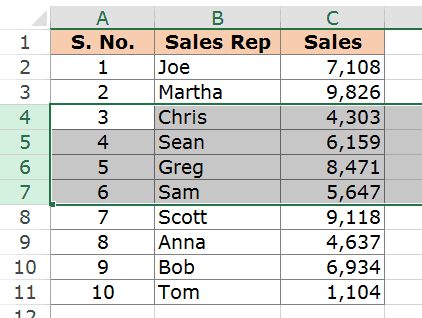 These are four ways you can use to quickly insert multiple rows in Excel. Did you find this tutorial useful? Are there any other techniques you use to insert multiple rows in Excel? Do share your thoughts in the comment sections. 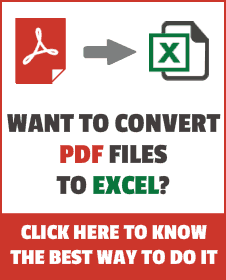 Insert Rows in Excel – MS Help.